Pentagon officials say they've found evidence that North Korea is influencing Iran's rogue missile program, just days after evangelist Greg Laurie warned that North Korea's links with Iran could play a part in End Times Bible prophecy. Fox News reported on Friday that Pentagon officials believe Iran's recent attempt to launch a cruise missile from a "midget" submarine was a copy of a previous North Korean version which in 2010 sank a South Korean warship. The launch of the underwater Jask-2 cruise missile failed, but nonproliferation experts have said that North Korea and Iran have been sharing expertise on such programs. "The very first missiles we saw in Iran were simply copies of North Korean missiles," said Jeffrey Lewis, a missile proliferation expert at the Middlebury Institute of International Studies at Monterey. "Over the years, we've seen photographs of North Korean and Iranian officials in each other's countries, and we've seen all kinds of common hardware." Several other missile launches from Iran in recent years have also reportedly been based on North Korean designs, with defense analysts stating that Pyongyang's Taepodong missile looks almost identical to Iran's Shahab. "In the past, we would see things in North Korea and they would show up in Iran. In some recent years, we've seen some small things appear in Iran first and then show up in North Korea and so that raises the question of whether trade — which started off as North Korea to Iran — has started to reverse," Lewis added. Laurie, senior pastor at Harvest Christian Fellowship in Riverside, California, suggested in a Facebook video on Monday that while North Korea does not seem to appear in biblical prophecy, it could very well be aiding Iran, which does play a part in the End Times. 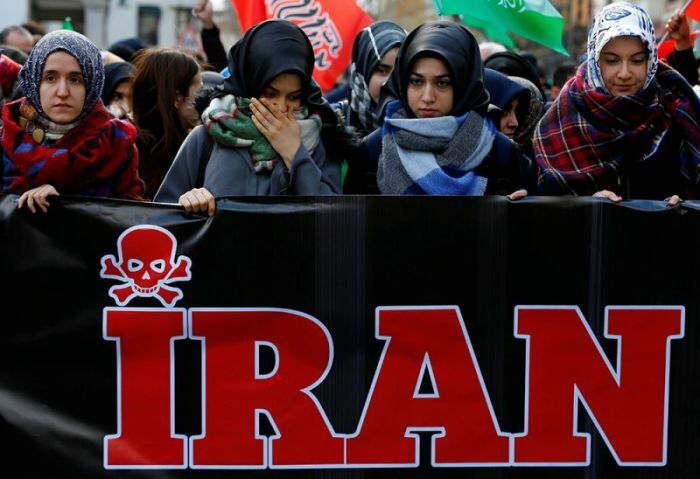 The pastor suggested that Iran could acquire weapons from North Korea, adding that the current nuclear tensions between the United States and Kim Jong Un's regime could potentially mean that the U.S. is destroyed even before the End Times scanario. Tensions between the Trump administration and North Korea have been rising in recent weeks, with Trump condemning Kim for the nuclear weapons rhetoric and ballistic missiles tests. North Korea has in turn warned of "catastrophic consequences" for America due to its joint military exercises with South Korea. "The enemies have to know that military threat and blackmail with the mobilization of nuclear carriers and nuclear submarines cannot work on the DPRK," the state-run North Korean newspaper Minju Choson has said. "The U.S. and the puppet group of traitors have to ponder over the catastrophic consequences to be entailed by their foolish military provocation — and stop running wild." On Monday, Trump tried to suggest that there is a way forward for diplomacy, however, and declared he would be ready to meet with Kim to talk about the issues. "If it would be appropriate for me to meet with him, I would absolutely, I would be honored to do it," Trump told Bloomberg News in an interview. "If it's under the, again, under the right circumstances. But I would do that." White House Press Secretary Sean Spicer later told reporters that "clearly conditions are not there right now" for such a meeting, adding that "we've got to see their provocative behavior ratcheted down."